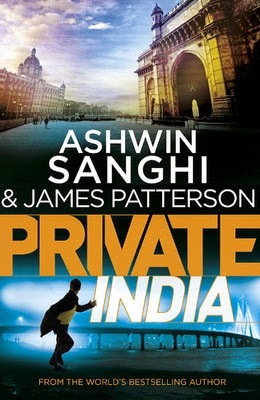 PRIVATE INDIA is the latest book written by James Patterson along with Ashwin Sanghi. Ashwin Sanghi has written Chanakya's Chant, The Rosabel Line and The Krishna Key all of which I have read and loved. James Patterson has written a series of Private Novels and recent being a murder mystery set in Mumbai, India in this new one called as Private India. I am looking forward to read more of his books so as to understand his techniques and research of writing and how different is this from our own Ashwin Sanghi. I got the book review opportunity from blogadda and immediately bought the kindle edition and started reading the same because I am out of country and we need to review the same in seven days. I always loved the way Ashwin Sanghi introduces the story and journey to the end of the novel. It’s always detailed, well written and researched. Private India is a murder mystery novel based in Mumbai. The serial killer starts killing women on the occasion of Navratri festival which is a 9 day long rituals to pray to nine avatars of Lord Durga. The main character Santosh Wagh runs the Private India organization which helps the police solves a lot of cases on terrorism and prevents attacks by taking matters in their hands. Provided with the latest technologies and labs they help Police and other law enforcement units prevent attacks in India. The novel slowly unveils it's mystery and you won't keep it until you have read the whole. Ashwin Sanghi has been able to keep me on the edge with this one too. I recently watched the whole 8 seasons of DEXTER TV series so I was connecting the novel to the TV series season 6 where the same kind of representation is shown by the serial killer. If you have seen the series, this will be exactly the same but in an Indian religious avatar. I was not so much in love with this novel because it didn’t offered anything new to me and I could solve the mystery in my own mind way too earlier. The book will really be liked by those who love reading mystery novels and this one is OK. It can easily be converted into a motion picture soon. It flowed in my mind as a movie only with so much of detail around everything. This is really a masterpiece from Ashwin Sanghi and a lot of research has been put by the writer into the crime world and ideas to do the crime & leaving small clues behind. The clues left behind are really well thought of and the connection to them explains the readers of what and how they are connected to the avatars of Maa Durga. The characters in the novel are slowly revealed and as what happens in murder mysteries, we think of everyone as a suspect. This novel arouses that kind of emotions in your mind and heart and instantly connects with it's readers to solve the crime themselves. I don't want to reveal the thing as it would be injustice to all the readers and lovers of the book. But this book is definitely worth your time and money if you are fan of some thriller & murder mysteries. It’s totally different from Ashwin’s earlier novels and is not rushed through and the end will leave you satisfied with the story. This review is a part of the biggest <a href="http://blog.blogadda.com/2011/05/04/indian-bloggers-book-reviews" target="_blank"> Book Review Program </a> for <a href="http://www.blogadda.com" target="_blank">Indian Bloggers.</a> Participate now to get free books! I am #TGSavvy, Are you?